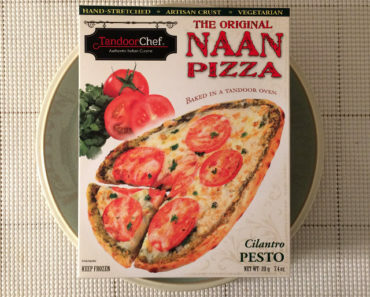 We’ve said this before, but we think Tandoor Chef is one of the most underrated frozen food brands we know of. If you’re in the mood for some authentic-tasting frozen Indian food, Tandoor Chef usually won’t let you down. But today we’re going to put aside our anti-sponge sentiment and give this one a try. 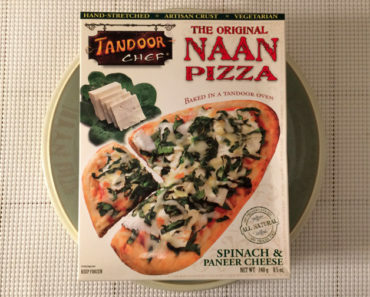 After all, we love Tandoor Chef, and we’re fond of a good paneer cheese, which this meal contains. Surprisingly, the paneer isn’t as good as we hoped. It has a rubbery feel, and some of it is even a bit chalky. This is disappointing, especially since we’ve had some very good paneer recently, and we tend to have high expectations for Tandoor Chef. 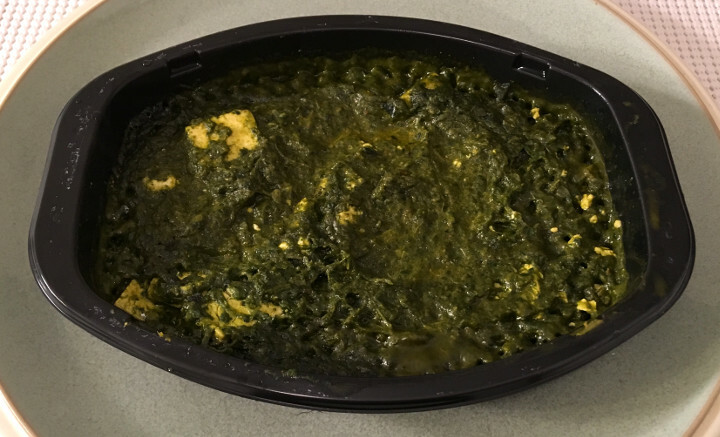 The spinach portion is a bulk of the meal, and it’s actually very good. It’s actually not as spinach-y as we expected — it actually has a bunch of onion and tomato in it. Plus, it’s loaded with spices. We didn’t think this was all that spicy at first, but about halfway through the meal we found our sinuses were clearing out. This appears to be a low-calorie meal at first, with just 240 calories (160 from fat). But keep in mind that this box contains two servings. 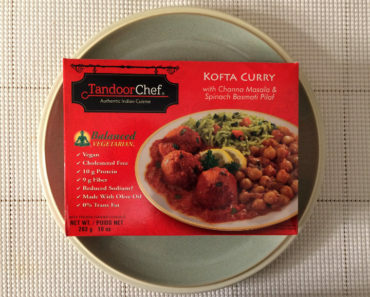 If you eat the whole box — which we assume is what Tandoor Chef expects you to do — you’ll be consuming 480 calories (320 from fat), which isn’t diet-friendly at all. We’ve ranted about this practice in the past, so we won’t do it again here, but we’ll just say that we find this type of marketing to be deceptive. 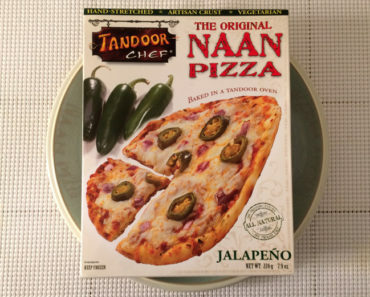 There’s no way Tandoor Chef expected people to split this meal in half. 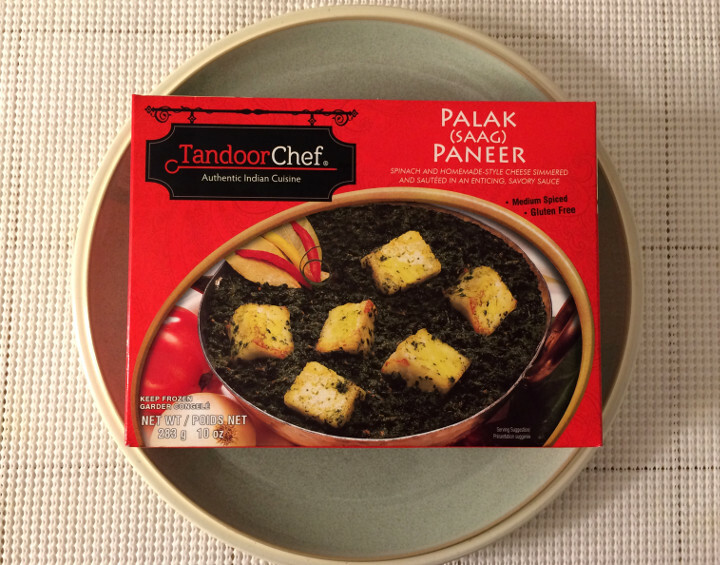 The Tandoor Chef Palak (Saag) Paneer is just alright. It looks kind of gross, but it tastes fine, though it’s probably not good enough to justify the calories. 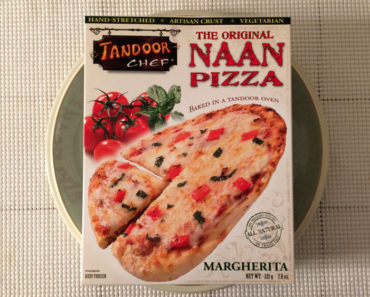 We think this is probably our least favorite item in the Tandoor Chef Line, but that’s not saying much when we’ve loved everything else Tandoor Chef offers. 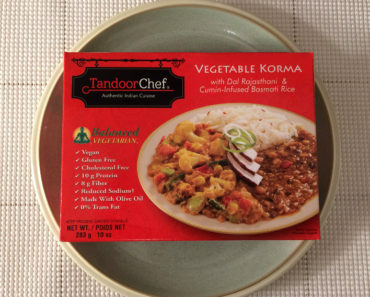 To learn more about the nutrition content or ingredients in this Tandoor Chef frozen food, check out our package scans below.